Food doesn’t get any fresher than when you pick it yourself. 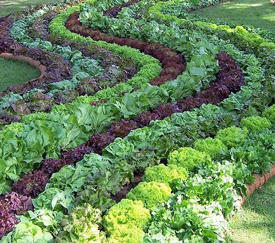 Jaguar Garden Designs can plant a vegetable and herb garden that will have you feasting all year long, whether you have a large or small yard. Jaguar Garden Designs is one of the top Boca Raton landscape design companies serving the areas of Boca Raton, Deerfield Beach, and Delray Beach. Tomatoes, lettuce, squash, basil, strawberries, dill, peppers, eggplant, and carrots are just some of the fresh fruits, vegetables, and herbs that grow well in South Florida. Ask us about making it organic to avoid residue from chemical pesticides and fertilizers. Jaguar Garden Designs knows tropical fruit! We can advise you about the different flavors, sizes, and yield of popular South Florida fruit trees like mango, avocado, coconut, papaya, loquat, fig, orange, lemon, grapefruit as well as heirloom and exotic fruits. We can include ornamental varieties of pineapple, pomegranate, coconut and coffee plants to add interest to your landscape. Contact Jaguar Garden Designs to discuss adding edible landscaping online or by phone at (561) 699-0653.